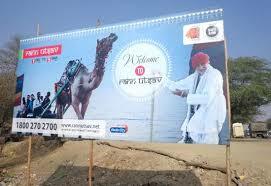 Barren land dressed in white, clear blue sky, decorated camel carts, beautifully crafted muddy huts, pristine white salt and mesmerizing view ….yes welcome to Rann of Kutch!! A place where you can see pure white land melted into the horizon. No city chaos, no traffic, no pollution, no crowd as if you have reached to the end of the earth. 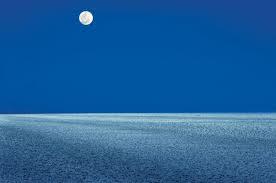 The Rann of Kutch is located in the Thar Desert in Gujarat with some parts in Pakistani province of Sindh. It is a seasonally marshy region. It is a shallow wetland which submerges in water during the rainy season and becomes dry during other seasons. 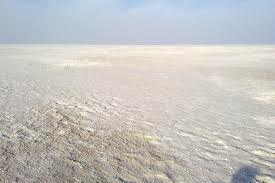 The Rann of Kutch is famous for their marshy salt flat which looks snow white with salty crust. The best time to visit this place is between October to March when water dries up and evaporates after monsoon and turns into white due to white crystal salt. Long weekends are meant to travel… so we packed and fueled our vehicle to its capacity and head towards Bhuj which is the major and well known city of kutch district. We started from Jamnagar which is about 260 kms from bhuj and we covered this distance in 4.5 hour as Gujarat has awesome and smooth roads and one can see numerous windmills running parallel along the roads. Since it was a long weekend of charismas vacation and rann utsav was going on, we couldn’t get any tents in the tent city which is located very near to white desert… our bad luckL. 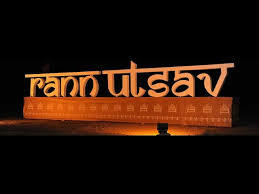 The utsav organized every year by State government for three months (Dec-Feb).It’s a Carnival of Music, Dance, Enhance the natural beauty of White Rann when the Full Moon spread it on the white land.The rates are too high for the tents during this time, starting 7 to 8 thousand per night to 18 thousands. So we decided to halt at Bhuj which is still around 80 km away. 1. 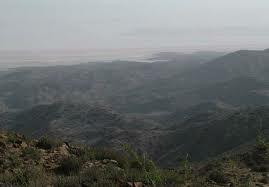 Kala Dungor – Or black hill is the highest point of Kutch.It is Located at a distance of 97 Km from Bhuj. This is probably the only place in Kutch from where a panoramic view of the Great Rann of Kutch is possible.It is located very near to the Pakistan border and has a famous 400-year-old Dattatreya temple. Legend says that when Dattatreya walked on the earth, he stopped at the Black Hills and found a band of starving jackals. Being a god, he offered them his body to eat and as they ate, his body continually regenerated itself. Because of this, for the last four centuries, the priest at the temple has prepared a batch of prasad cooked rice which is fed to the jackals after the evening aarti. 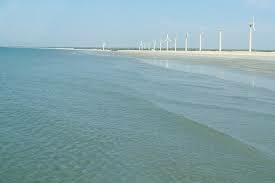 Mandavi Beach – The beach is a curving stretch of white sand fringed by blue waters, with windmills on one side, the Sunset pavilion on the other, and an uninterrupted view of the sea in front. 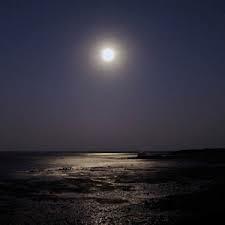 It is just 60 Km away from Bhuj.The sea is safe for swimming .Camel and Horse rides on the dunes of the beach can be done. Many Eatery Joints available on the shore offering verities of food as well as local flavors. The Bhungas – These are circular mud huts with sloping roofs, typical of the Banni region. Each Bhungas has a private open space with arm chairs, an ideal place to relax and look out into nothingness. 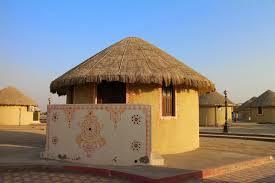 The Tents and Bhungas can normally accommodate 2 people, and the Family cottage 4 people. Extra beds are available on request and are available almost on every resort. Prag Mahal – 19th-century palace made of Italian marble and sandstone from Rajasthan. It has 45 foot high tower with a clock, from where you can see the entire Bhuj city. The 2001 Gujrat Earthquake severely damaged this palace. Aiana Mahal – It is located next to the Prag Mahal. The palace which belonged to Maharao Lakhpatji has now been converted into a Museum. It is a piece of art in itself and houses several rare paintings and collectibles from around the world. Swami Narayan Temple- One can find Swami narayan temple in almost every major city of Gujrat. The 2001 earthquake destroyed much of the city of Bhuj, including this temple.The saints and satsangi of Kutch residing in India and living abroad, have resolved to construct a new temple a short distance away from the main site. 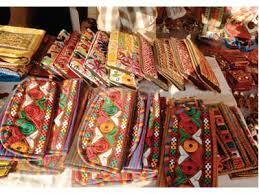 One cannot call the trip off without shopping.Kutch is famous for its intricate arts and crafts. Gracious folk textiles, exquisite embroidery, Bandhani sarees, traditional ornaments and mirror work are some of the specialties of Kutch. Where: Bhujodi Village just 10 km away from Bhuj has Hiralaxmi Craft Park which promotes art of Kutch.Or if you have visited Rann during Utsav time, then the place has stall and craft Market there itself. Previous Previous post: A home is where your heart is! !